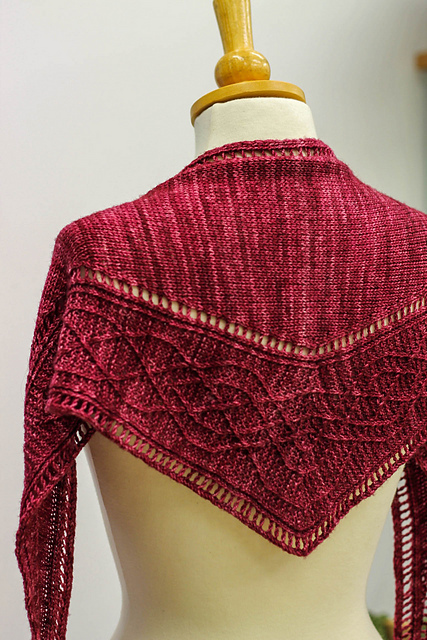 After a good few months of knitting, charting, testing, tech-editing… Taliesin is finally available! 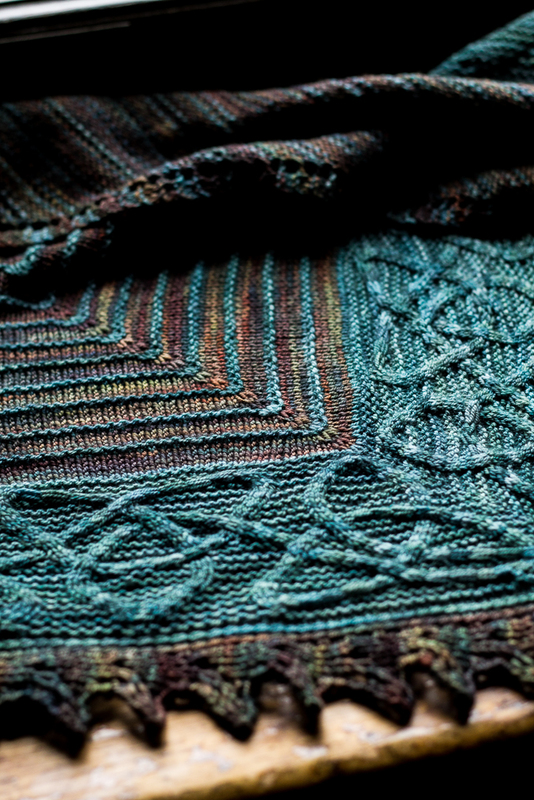 This shawl has quite a long back story, and I thought I would tell some of it here… the design is named after the Welsh poet Taliesin, but I will stick to prose! 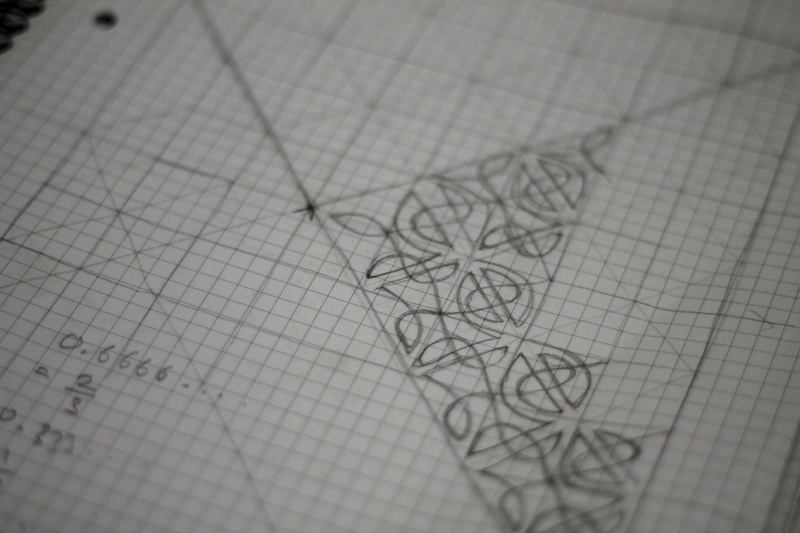 It’s probably apparent from even a quick glance at some of my past designs that I’m completely obsessed with Celtic knotwork. 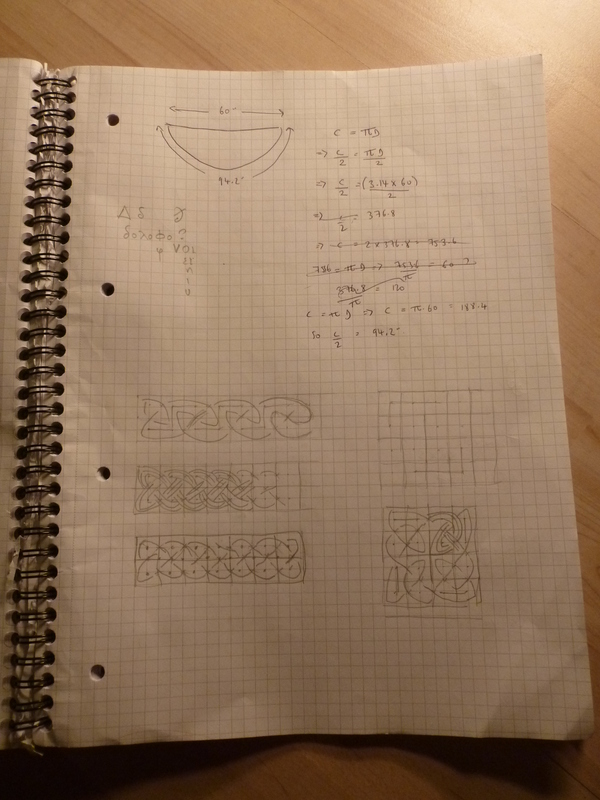 I learnt how to draw it from the marvellous writings of George Bain (a truly wonderful artist, who inspired so many people with his books) and Aidan Meehan, and I love how the form is underpinnned with mathematical, grid-like structures, yet also allows for a lot of creativity. 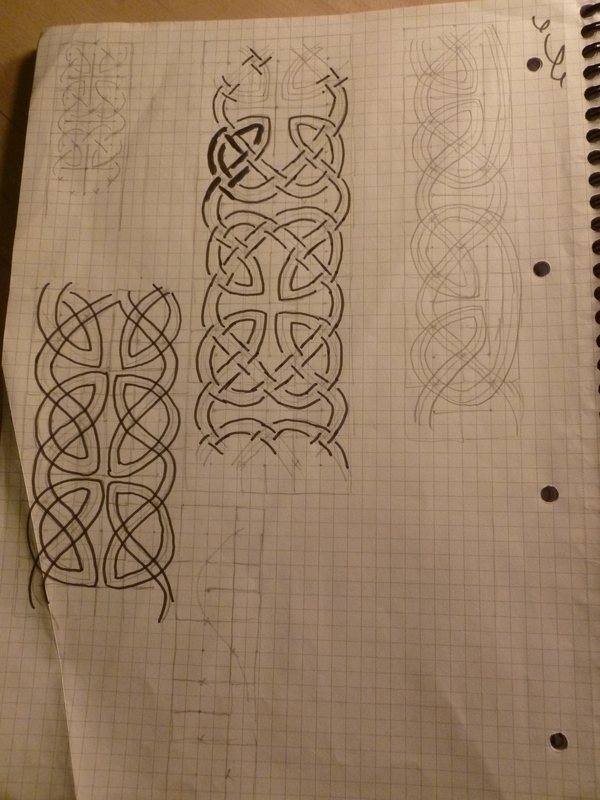 I don’t consider myself an artist and I’m not very good at drawing, but I can invent my own Celtic knots with relative ease, and I find it very relaxing. 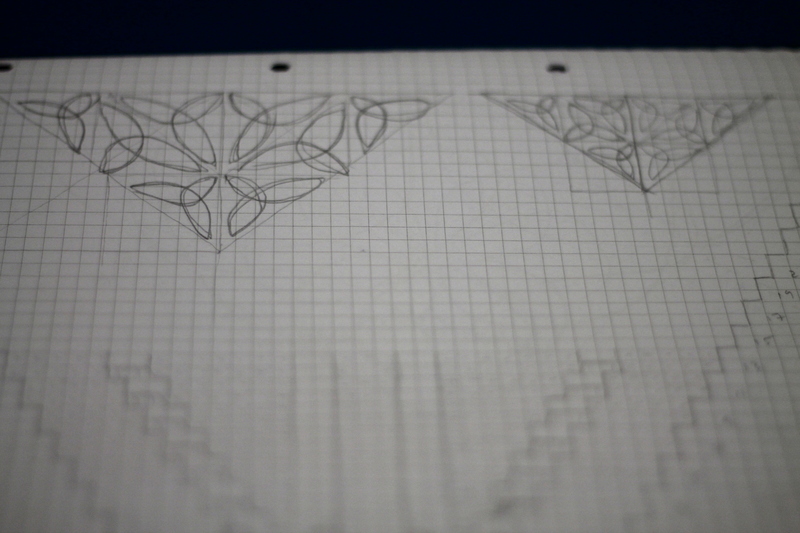 Here are some early sketches of knotwork that I made back in April, with a view to turning them into a cabled shawl… originally my design was a little different. I decided the different cables were just a bit too fussy, so I went back to the drawing board and simplified things a bit. 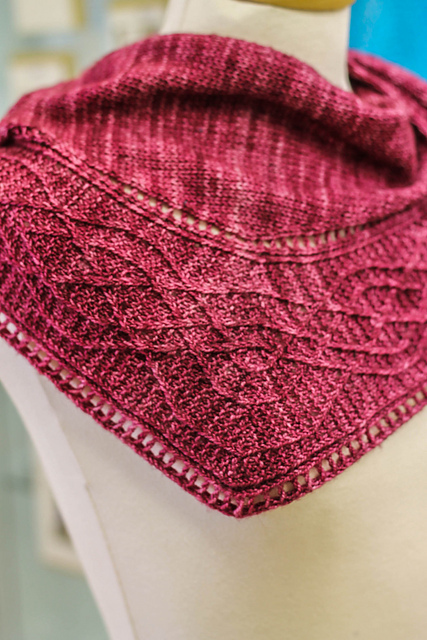 I eventually ended up with the final design, and set about knitting it up with a beautiful skein of Old Maiden Aunt yarn that I got at the Edinburgh Yarn Festival in March. However, disaster struck when I ran out of yarn halfway through the cast-off! 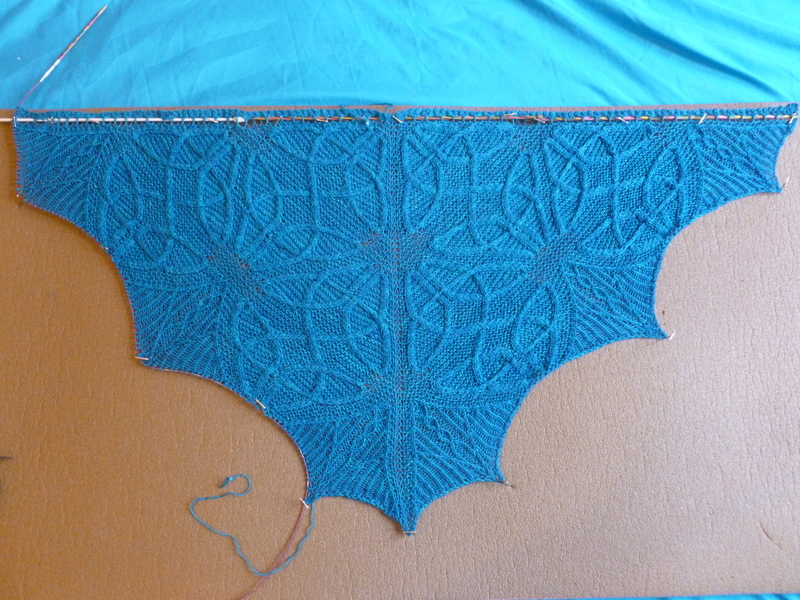 Perhaps it was a blessing in disguise though, because the shawl was a little bit on the small side for my tastes, and I wanted to enlarge it, so I got another skein. 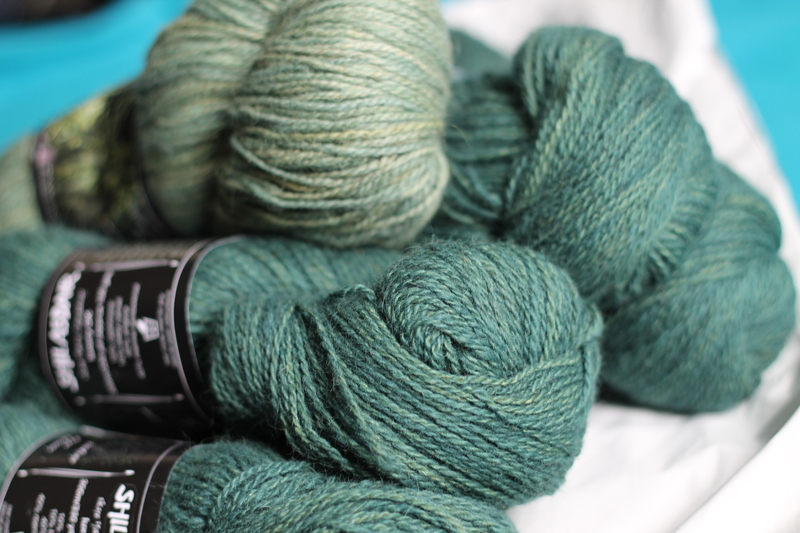 Even though it was from the same dye lot, the colours seemed a little different, and I was worried it would be obvious, so I striped the skeins a bit and in the end it looked fine. This is where things get decidedly bizarre. 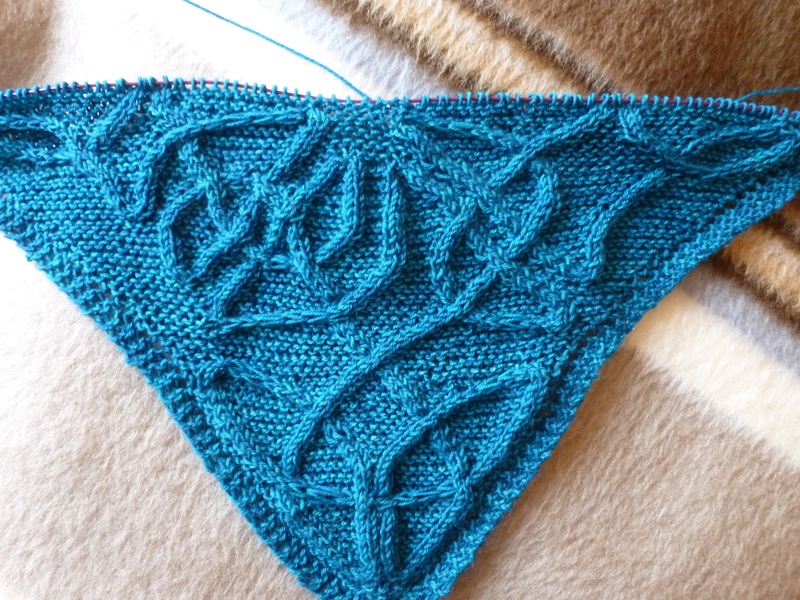 Somewhat foolishly, given my track record of losing handknitted objects, I decided to wear this shawl to the Beltane Fire Festival on April 30. At some point during all the revelry, I must have dropped my shawl, and didn’t notice until after the event had finished and the security guards were shepherding everyone down from Calton Hill, where the event takes place. I tried my best to get back onto the hill, so that I could look for the shawl, but security said no. They said my best bet was to check with the council next day, as they’d be sending in cleaners to clear up the hill. 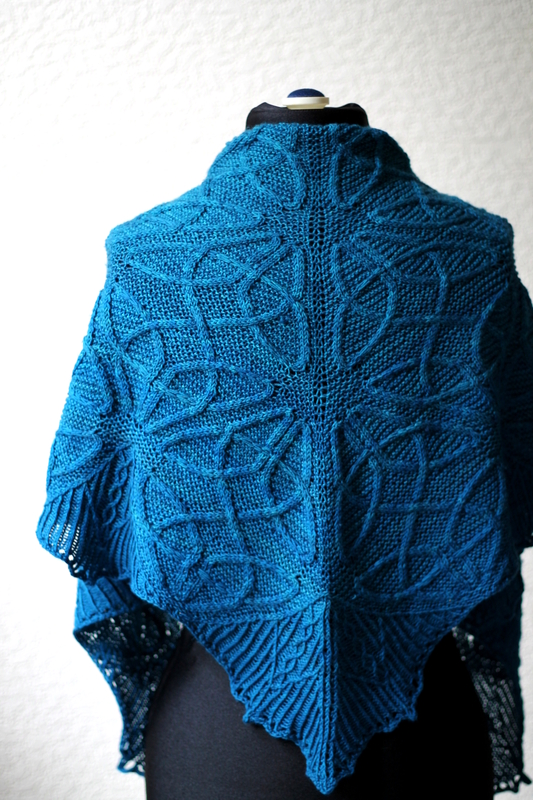 Now, I had a sinking feeling in my heart that I would never see my shawl again. It was about 3 am by this point, pitch dark, and I was making my way home. The route back to my flat goes past one of the small roads that leads to the top of the hill. All the roads were blocked off with large metal gates, but I happened to notice that there was no guard on this particular road. So, I might have found myself squeezing past that gate and clambering up a pitch dark hill at 3 am in search of a hand-knitted shawl. Yes, perhaps not the most sensible or safe thing to do. But I was desperate to find it, and also reasonably sure that the only people still left up there would be security guards, and not anyone who would try to murder/rob/violently assault me. So, up I went. I got up to the top of the hill and was completely disoriented. 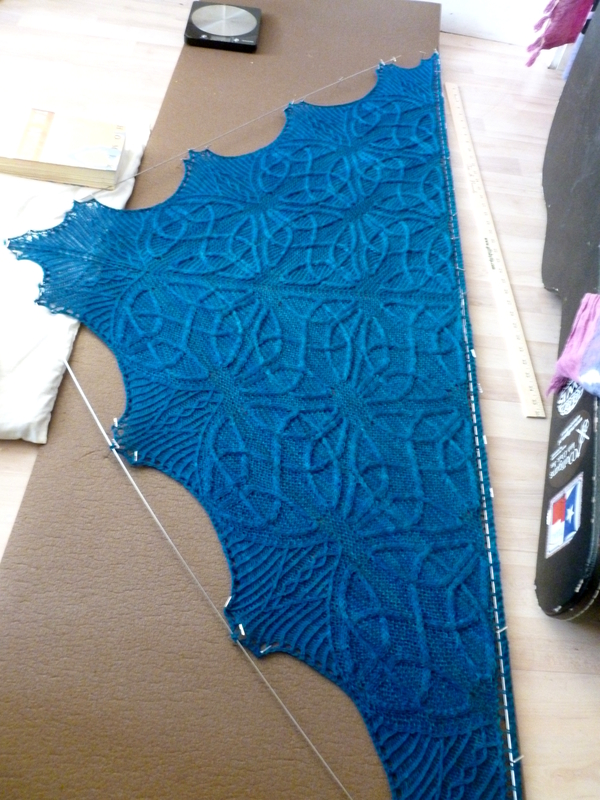 I couldn’t even remember where I might have been standing when I dropped the shawl. So I picked a spot, figuring I had to start somewhere, got out my phone, switched on the torch function and began sweeping it along the ground. Within approximately 10 seconds, I spotted something like knitted fabric. 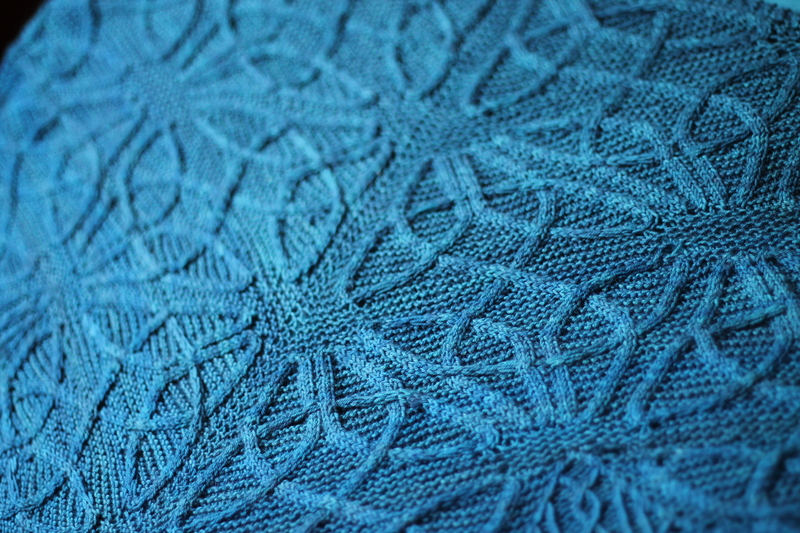 I think I may have actually shouted, “NO WAY!” in my disbelief, but yes, it was my shawl! 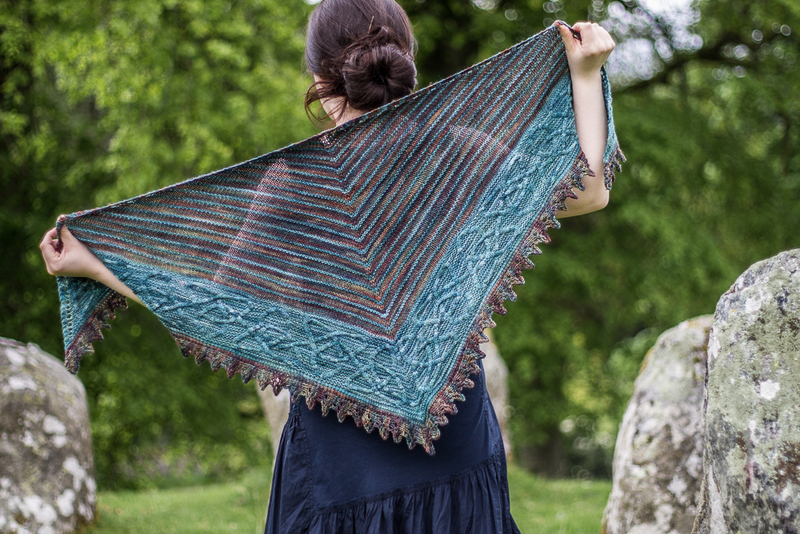 It still boggles my mind how it was that, by complete fluke, I happened to pick pretty much exactly the correct spot where I had dropped my shawl. A bit of Beltane magic, maybe, or just sheer luck. Either way, I don’t think I’ve ever been so happy to find something that I thought was lost for good! 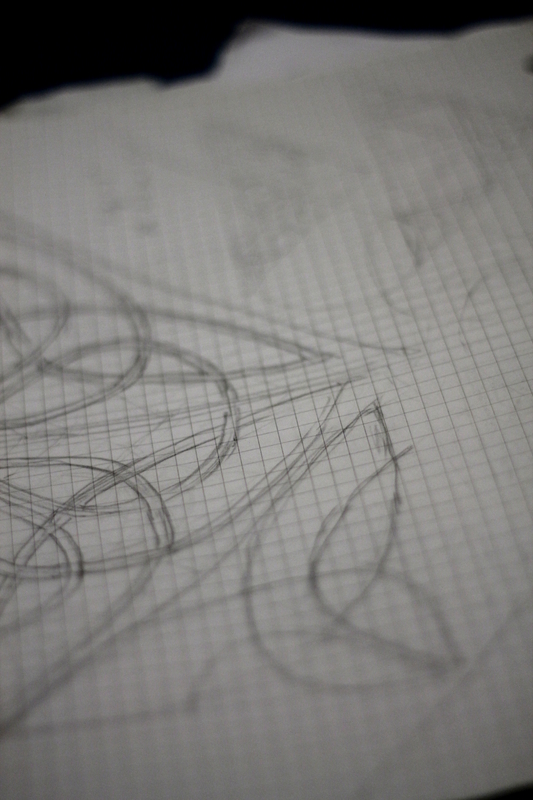 I recently got a beautiful new camera and I’ve been obsessively photographing everything within sight. I’m still getting to grips with all the settings, but it’s so much fun! And it’s arrived just in time for my new self-published pattern, Taliesin, which should be released in the first or second week of July. 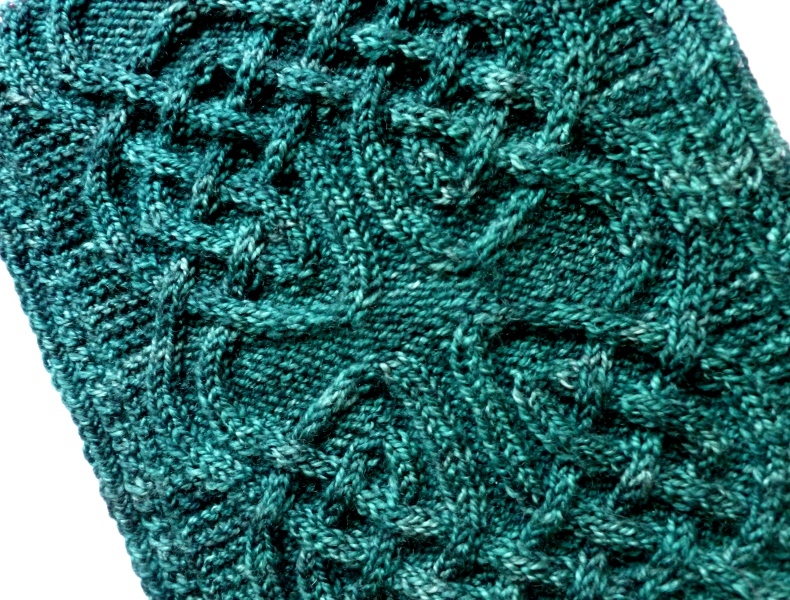 This pattern is still in the test-knitting/editing phase, but if you’d like to find out as soon as it’s released, you can either sign up for my newsletter or drop me a PM on Ravelry. I also have a new Ravelry group for my designs too – come and join if you’d like to discuss my patterns – or pretty much anything else!